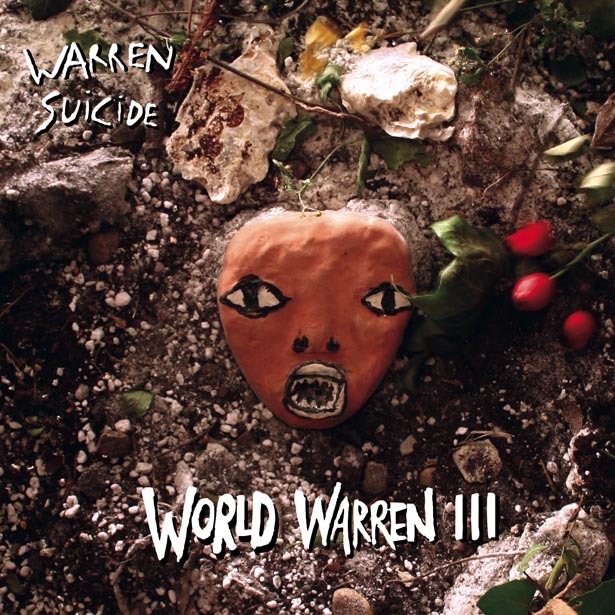 World Warren III is the third album of band, collective, piece of art Warren Suicide, formed by Cherie and Nackt from Berlin. And this album is phantasmagorical, literally. A declaration of peace, a gentle giant.Because after Hello/Warren Suicide and Requiem for a missing link, WWIII is abandoning the disruption of genres and binary code, in favor of a third principle: Warren Peace! Duality does not mean conflict, but serves as a source for a new feeling: being able to pick one of the energies permanently alternating between “war and peace”. Such is the sound of their music, confidently turning away from the past. WWIII is instead a story of science fiction and lust, an analog vision full of optimism. Songs like In Love with the Enemy, Animal Party or Moving Close (with T.Raumschmiere as guest vocalist) whoosh, chirp and rumble with their very own, unheard-of groove. The spirit of a sound is conjured, as plug-in-esk as a book, as a Technicolor film, like a cinematic journey, captivating as anything. This music has carte blanche and chooses freedom: in love and in anarchy. Wanting more, that’s the principle Warren Suicide have been building on right from the start. Cherie and Nackt from Luxembourg and Denmark must be running the Chez Cherie studio and workshop just for that reason. A studio where many, many records, cooperations and projects have sprouted from, like the orchestra cooperation Berlin/Göteborg String Theory, for which Cherie and Nackt have carried out extremely successful workshops in Germany and Sweden, recordings and the widely celebrated “José Gonzalez with The Göteborg String Theory European tour 2011” (conducted by Nackt). Earl Harvin (air,tindersticks), Andrew Unruh (Einstürzende Neubauten) and Ben Lauber (Transporterraum) as drummer, the Berlin/Göteborg String Theory orchestra, Warren tour companions Arne Augustin (Nena), Giovanni Nicoletta (Apparat) on keyboards, T.Raumschmiere as musician/vocalist and many more... over 50 people! This splendid plethora has been co-organized by Moses Schneider (Tocotronic, Beatsteaks, Dendemann), an old friend who also co-produced the album.